I recently attended the Solar Energy Industry Association‘s (SEIA) Finance and Tax Seminar in New York. The subject matter in this event delved into issues related to tax equity finance. Each panel session was moderated by a tax attorney or an accountant, and most of the content of the sessions consisted of technical tax law. To place the discipline into context, one speaker noted that the tax equity renewables investing deal volume in 2018 was $2-3B for solar and $9B for wind, and the number of tax equity participants is roughly only 25-35 large corporations. So unless there are changes to the tax code that would widen the range of entities that could benefit from tax equity investing, the pool of investors is not likely to broaden parabolically. Total investments in the US for renewables in 2018 was estimated by Bloomberg New Energy Finance at $43B, and globally totaled $300B total for all clean energy investments, including equity raising by companies in smart grid, digital energy, energy storage and electric vehicle. 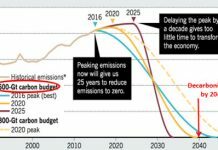 Estimates from numerous NGO’s contend that the rate of investment needed to transition rapidly enough to bend the GHG temperature curves is more like $1-2Tr per year. So the scale of tax equity investment, although substantial and growing, is estimated to be less than 20% of the build rate needed to deliver 80% renewable electricity per various transition targets proposed by various states, the Green New Deal, & others. 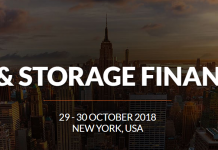 The keynote session was moderated by a principal from Novogradac, an accounting firm with a large renewables practice, who prefaced with a very brief overview of the mechanics of the 3 primary partnership structures commonly used in the industry: the partnership “Flip” structure, Sale Leasebacks & Inverted Leases. A second session titled “Solar Finance 101” led by an attorney from Norton, Rose, Fulbright was provided specifically to elaborate on the structures. In a Partnership Flip the General Partner (Sponsor/developer) starts by holding 1% of equity, and the Tax Equity Investor (TEI) is the Limited Partner holding 99%. A flip in the ratio to GP 95% / LP 5% is triggered either by reaching a target yield (usually 5-7 yrs), or a date certain (6-8 years). The target ROI for the TEI in a yield-based version is in the range of 6.5%, earned from Investment Tax Credits against prior losses & development costs, and some portion of operating cash flow. The fixed-term version requires different terms for the investors to achieve the desired yield, and usually extends 6-8 years. The fixed flip leaves as much cash as possible for the sponsor, and pays the TEI’s cash as a 2% preferred distribution. In the 101 session, the main challenge was identified as: how to get a step up in tax basis so that benefits are calculated on Fair Market Value rather than on Cost or DCF (discounted cash flow). She cited 3 court cases that will be adjudicating: a) the allowable standard for this valuation, b) whether developer fees should be limited to 12-18%, and c) whether use of DCF with a low discount rate that artificially raises value should be disallowed as a disguised sale. The test imposed by the IRS would disallow the ITC claim if the DCF is the same after the end of the PPA term, DCF should be different in the merchant period, usually expected to be 7.5% to compensate for the variability risks of merchant pricing. “Absorption” was the other key element discussed throughout the conference, and is one of the more complex aspects of partnership taxation. The Capital Account for each partner documents what each has contributed and is allowed to take out in tax benefits, and cannot drop below zero. “Tax efficiency” characterizes whether the tax benefits can be fully taken by either party, or remain partially unclaimed. If the TEI capital account is at risk for drawing down too much, such that the tax benefits would re-allocate back to the sponsor who also could not use them, then the remedy is often a Deficit Restoration Obligation (DRO), in which the sponsor indemnifies the TEI. 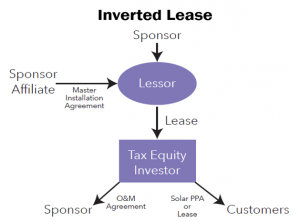 A 2nd form used for tax equity financing is a Sale Leaseback, which involves an outright sale of 100% of the equity in the project by the Sponsor to the TEI, who then leases it back to the Sponsor & lease payments are a revenue stream from the Sponsor/ Leasee back to the TEI/ Leasor. 100% ownership avoids complicated partnership accounting, while preserving the TEI’s rights to the tax benefits, but still carries a risk of IRS disallowance if the TEI is treated as a lender rather than an owner. A 3rd form is an Inverted Lease which is used frequently in aggregations of residential rooftop PV systems. The sponsor bundles the customer contracts, assigns them to the TEI, and leases the equipment assets to the TEI, who collects the customer revenue, & pays most of it back to the Sponsor as rent. ITC’s are claimed by the TEI, but depreciation stays with the Sponsor, who then takes back the depreciated assets at the end of the lease term. Distribution of operating cashflow can be convoluted in all these structures, with competing claims from tax equity investors v. lenders, but several panelists seemed to reflect a consensus that this structure tends to leave comparably more of the cashflow for the developer or cash equity investors. It is more complex conceptually, because there are two partnerships, an Operating entity & an Ownership entity, and both parties, TEI and Sponsor participate in both entities. In the Ownership entity, the Sponsor holds a majority position, and becomes the Leasor, and the Operating entity owned by the TEI becomes the Master Tenant/ Leasee, and transfers rents back to the Leasor. Risks of IRS challenge to the basis used to calculate tax credits can be managed by documentation that transactions have occurred at arms-length, and costs have been clearly segregated, that capital accounts remain positive, and that an appraisal solidly establishes the value. This “basis risk” is usually borne by the developer, but is often capped at the difference between project completed value minus costs. As encapsulated by midsized funder Captona, tax equity financing has an asymmetric contingent liability, a 5% upside but a 50% downside recapture & basis risk, of IRS challenge that can result in disallowance of the tax credits, or decertification of partnership status. Each structure has pros & cons, but they all seek to optimize and protect the tax benefits for the TEI and the cashflow for the Sponsor, and each varies in dealing with indemnifications, cash sweeps and buybacks. Clearly, there is a fine art in selecting the optimum structure to suit the needs of the participants, and then negotiating each variable element. But surprisingly, when asked if these agreements were prone to litigation to resolve disputes, the answer was no. Bespoke agreements can be designed with bolt-on boilerplate options for contingent indemnifications, cash sweeps, buyback terms, and other assurances & disincentives, to avoid the need for dispute resolution, which would be adjudicated on the contract terms anyhow. For deeper dives into resources that illustrate technical renewable finance modeling, one can go to powerpoints produced by Akin Gump (a conference sponsor), and Finance Energy Institute (Ed Bodmer). An exhibit of a practice that utilizes all three forms of can be seen in Akin Gump’s Global Project Finance brochure. Panelists in the keynote session, JP Morgan, US Bank, SolSystems, and GAF Solar, were asked about the scope of their transactions in 2018, their preferred structure, and their outlook. JPMorgan (JPM) did $3B in tax equity transactions (up from $1.5B in 2017), primarily yield-based flips, on utility scale deals of $150M per deal. US Bank, the 5th largest bank in the US, did tax equity fundings of $1.3B in 2018, down from $2B in 2017, which was attributed to the reduction in corporate tax rates from 35% down to 21%, materially affecting their term sheets. GAF, a private equity infrastructure fund based in the Bronx with a development side that included a roofing entity with a long history. GAF bundled roofing and solar systems, for both C&I offtakers and residential aggregations, in portfolios sized 50-100MW, and then financed them with tax equity partnerships, usually structured as yield-based flips, all of which he said had been over-subscribed. In some cases they took long duration credit positions on their own. He explained that their terms provided tax equity investors with max of 34% of eligible basis, referencing an economic substance test that allows for 3% IRR if the capital stack is limited to 34% in tax equity. TEI will usually then be able to utilize 99% of the depreciation, and remainder of return comes from 7% of EBITDA as unlevered cash distributed at the same time as distributions to the GP/ builder. He commented that leverage helps utilize the tax basis. Goldman Sachs (GS), who was also present in another panel, described their activity as “warehousing”, providing lines of credit against PPA’s from residential aggregations for purposes of subsequently assembling asset-backed securities. Credit ratings were a concern, given the need to avoid a repetition of the events of 2008 when credit worthiness of component mortgage contracts in ABS bonds were improperly evaluated by S&P, Moody’s and others. A rep from Kroll Bond Rating Agency detailed their procedures for rating and stress testing ABS’s. Ratings could benefit from insurance “wraps” in order to guarantee revenue, which were offered by carriers including SwissRe, Ares, IGS, ING, New Energy Capital, as described by the CEO of kWh Analytics, which also offers a suite of risk mitigation services marketed as a “Solar Revenue Put”. In discussing community solar financing, both for tax equity and securitization, panelists were concerned with customer “stickiness” or retention, and replacement. Panelists included two developers Nexamp & Arcadia Power, two private funders Wunder Capital & US Bank, & publicly funded NY Green Bank. Sol Systems, who was present on several panels, is an employee-owned solar finance and development firm backed by Sempra Energy. It raises development capital, and provides capital management for tax equity asset funds. She noted that their operating level projects were often residential or small C&I aggregations. 80% of their deals were structured as inverted leases, and routinely used leverage in the lower Operating partnership, in order to optimize the depreciation and interest deductions, which in turn helped to manage the capital account and optimize the ITC claim by the Ownership partnership making the tax equity investment. The CEO of SolSystems, (in absentia) offered an insightful industry overview of the competitive dynamics of capital in this space. The market for C&I procurement has evolved from buying voluntary RECs, to compliance RECs, now to VPPAs with supply from specific projects. These transitions are driven by a sustainability sentiment in corporate boards to be able to confirm direct relationship between their procurement efforts & new builds. The instruments for executing these relationships has evolved into a Contract for Difference, with supply hedging that can “shape & firm” pricing, such that end users see a simplified accounting that can be “sleeved” or integrated into utility bills. All-in costs have fallen 80% since ’08. Costs per module have dropped to $.30/W, in part because, in part because the equipment supply chain is now so vast, but there is also more excess due to a slowing in procurement by the government of China. Further cost reductions can be forecast due to increasing cell efficiencies, up to 5% from mono-PERC & bifacial cells, & improvements in Balance of System costs, including 2% from trackers at sub-array level & 3-5% from DC optimizers, which in aggregate will result in another 12% reduction in costs. O&M costs will be reduced by 1500V architectures & string inverters built into both new systems & retrofits. Utility scale cost will be $.95/watt, & PPA’s under $.03/kwh, based on the Lazard Levelized Cost of Energy report , a gold standard in the industry. These savings will enhance yields for large solar portfolio owners like Helios, Brookfield, and Global Infrastructure Partners. Scale of Solar Asset Class is 109K MWs installed globally, with a huge pipeline & investor demand, & will be a $10Tr market by 2050. 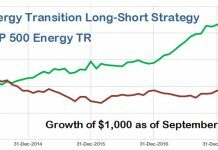 Solar assets are attractive because they are a) real, b) non-correlated to equities markets, c) dollar denominated, & d) inflation insulated. EU & Asian countries have carrot-and-stick policies, imposing specific portfolio requirements for renewable investments while also granting reduced capital set-aside requirements. 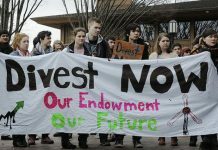 Many sovereign wealth funds & multinational banks also now have mandates to invest in renewables. More new investor entrants drive down cost of capital, by their acceptance of lower returns on investment, because they are viewed as less risky. Lower capital costs as a component of overall costs, drives down LCOE & PPA prices. To offset lower yields, investors are being compelled to take on more operational or project risk, by entering earlier in development. Private equity & hedge funds finding it increasingly difficult to compete both in acquiring and holding long term project assets, & are participating in less mature assets, and are being displaced by institutional investors – insurance companies, sovereign wealth funds, pension funds. 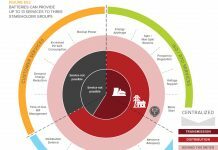 Institutional investors included AES (AES), John Hancock, NextEra (NEE), Avangrid (AGR), EDF, Orsted (ORSTED.CO) & Equinor (EQNR). SolSystems has built a platform called Helios to help developers sell down their equity to institutional counterparties. Independent power producers have a fairly high WACC, in the range of 6.5% – 7.75% unlevered after-tax for those with long-term PPAs. But they can’t compete with institutional capital, and are struggling to support early stage pipeline that is taking longer to “harvest”, and consequently IPPs are being forced to refinance credit lines. The biggest problem affecting all aspects of the market right now is the huge back up in interconnection queues. There are 150GW of solar projects waiting for utility interconnection approvals. Many projects may have site control & early stage permits but no offtake or even a strategy for securing a customer. Developers are too aggressive in pursuing these early steps. Some markets remain attractive (NY, IL, VA, PJM), and pending RPS legislation in other states is driving interest, but the development horizons are being stretched beyond 3yrs, which means these projects must be held much longer on balance sheets or in relatively expensive development facilities. He recommends developers pull back from taking a buckshot approach, carrying the risks of holding partially developed inventory, and instead focus on the fundamentals of locational marginal pricing, congestion & policy. The hurdles to accelerating decarbonization of electricity are not availability of capital, or lack of enterprising initiative, but a bottleneck at interconnection. The solutions to that problem must be resolved by reconfiguring structural impediments imposed by utilities and utility commissions. Technological advances are driving LCOE to fall faster than grid adaptations, and even with declining yields, capital markets demand for renewable assets are outpacing WACC for development. 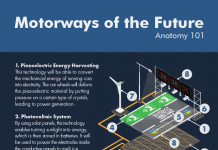 But for the drag of a centralized grid, the components are in place to accelerate implementation of a GND-level vision for renewable electricity. Daryl Roberts has been following renewable energy technology & policy for 20 years, most recently engaged following EV charging infrastructure, net metering policy, utility scale solar development and project financing, and renewable energy asset management. He has participated in Sierra Club electric vehicle policy initiatives, and offered consulting for grant applications to install municipal EV charging stations. He has consulted on business plan development for commercial projects in diverse technologies, for ethanol, MSW waste-to-energy gasification, BIPV fabrication, and LENR research. Previously he had worked for almost 20 years on litigated medical malpractice claims.